snacks | Badudets Everything Nice! I happen to be a Cheetos addict! and a Doritos addict too! But I can’t munch two separate bags of Cheetos and Doritos in one seating. I’d really feel guilty if that’s the case. 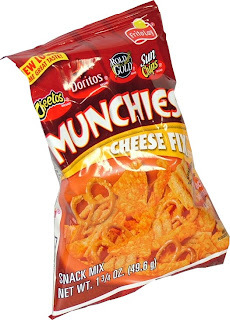 Frito Lay’s idea of combining 4 different snacks in one pack is gastronomically brilliant, Frito Lay’s Munchies! It has the good ol’ Rold Gold, Sun Chips, Doritos and Cheetos. Answers my cheese fix!